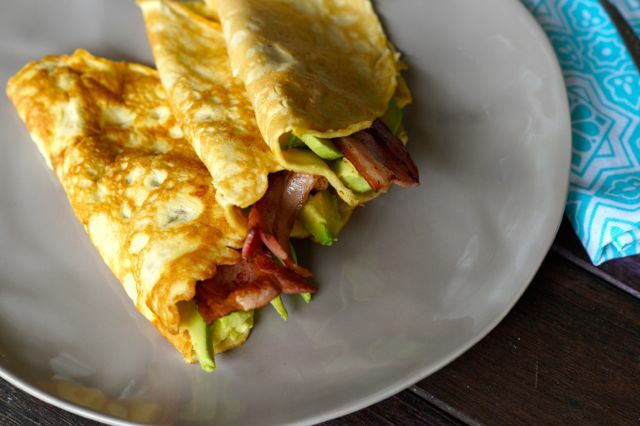 Savoury Paleo Crepes with Bacon and Avocado Recipe. 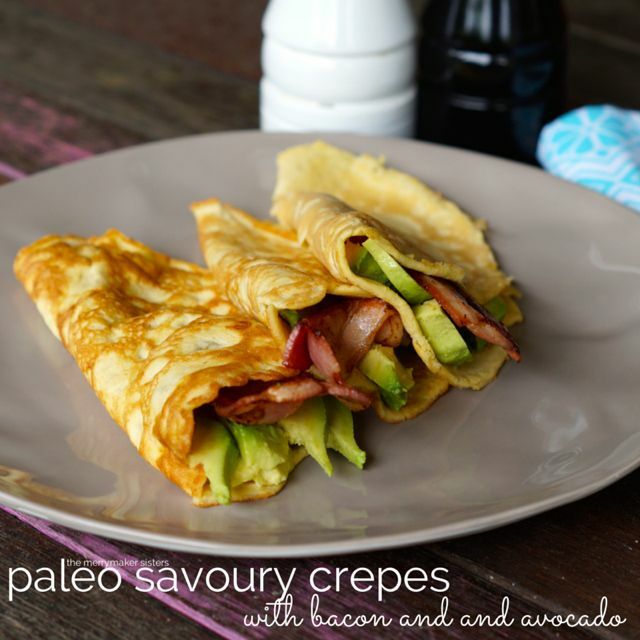 These Savoury Paleo Crepes with Bacon and Avocado are what breakfast dreams are made of! The bacon and avocado combo makes everything amazing but with paleo crepes… far out… words just can’t describe the yum factor. It was our first time making paleo crepes and we reckon we did pretty darn good! They look amazing and taste even better. So in true merrymaker style we had them at least 5 times the past week. We hope you love them as much as us! Don’t forget to share your merrymaker creations with us on social media (it makes us smile HUGE!) just use #themerrymakersisters so we don’t miss a pic! In a blender (we use our Vitamix) whiz the eggs, flour, milk, macadamia oil and salt until smooth. Heat a little macadamia oil in a small fry pan (or crepe pan if you have one!) to medium heat. Pour ¼ cup batches of batter into the pan. Turn the pan slightly so the batter spreads thinly. Cook for about 2 minutes, until the edges start to lift and the crepe bubbles a little (it will look a little rubbery). Carefully flip the crepe over and cook for another 30 seconds. Place on a plate and cover with foil to keep warm. Continue to make the crepes with remaining batter, add a little more oil to the pan when required. Serve with bacon and avocado! DROOL! Cook the bacon first and place in the oven covered with foil to keep warm. Then cook your crepes in the bacon fat and go to crepe bacon heaven!